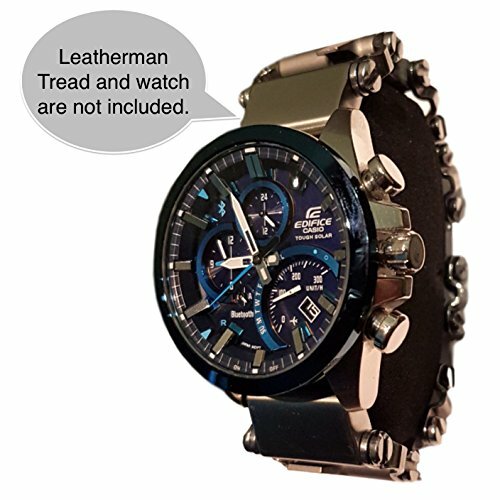 Leatherman Tread Watch Adapter - Moar Stuff - You don't need it but you know you want it. Looks like it's time to fix something. Good thing you have the tools with you, right? 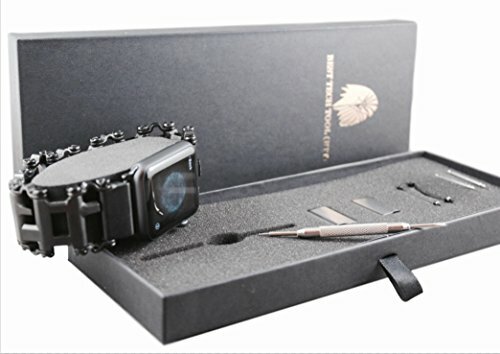 Connect Leatherman Tread and almost any watches*****Box content: ONE PAIR of Leatherman Tread watch adapters; A Spring bar (pin) removal tool; TWO PAIRS of spring bars (pins) with diameter of 1.5mm OR Apple watch adapters. 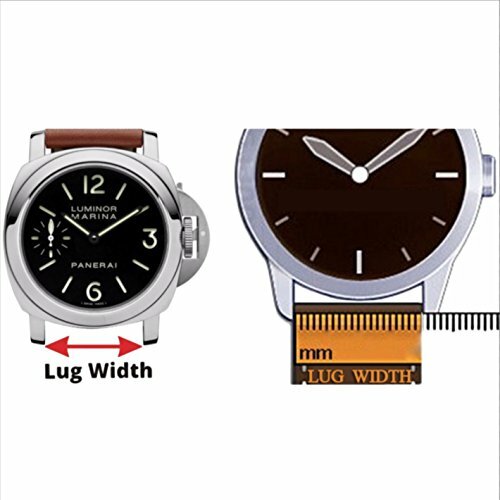 See the Lug width image for sizing of your watch. For watches with an odd-numbered lug width (19mm, 21mm,...) , select the next size down. COMPATIBILITY G-SHOCK: compatible with almost all G-SHOCK (COMPATIBLE with screw pins and normal pin spring bar); not compatible with G-Shock GA1000 and GW3000B****For sizes 16mm, 18mm, 20mm, 22mm, and 24mm: Ensure that your watch has normal straight spring bars (pins), NOT screw pins or curved spring bars. 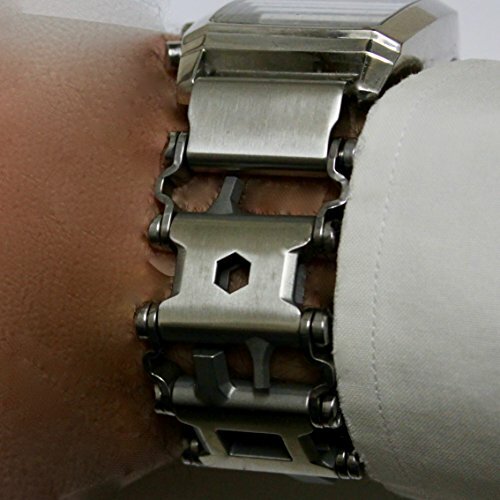 ***Not compatible with LG Watch R and Urbane *** Watch and Leatherman Tread are not included. 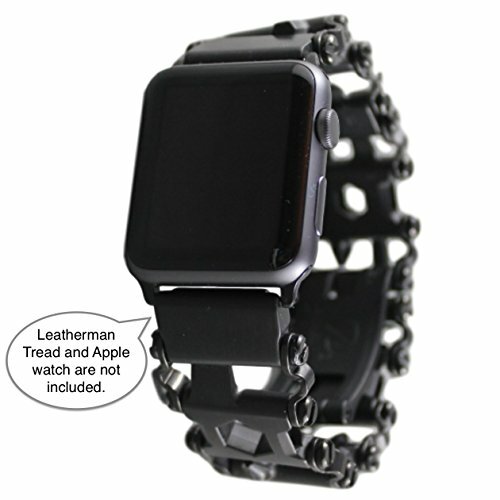 This Leatherman Tread Watch Adapter can connect almost any watch to a Leatherman Tread Bracelet including, specifically, an Apple Watch! If you have both an Apple Watch and a Leatherman Tread Bracelet, you can combine them into the coolest smart watch / multi-tool combo ever. 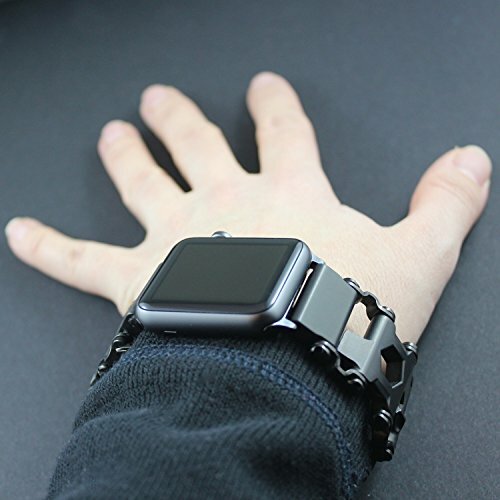 Available in either black or stainless steel, you get a pair of watch adapter brackets to fit your expensive Apple Watch. Don’t have an Apple Watch? No problem. By picking the right size, you can accommodate any watchband size from 16mm all the way up to 26mm. You can also get a model for Garmin watches and even G-Shocks. 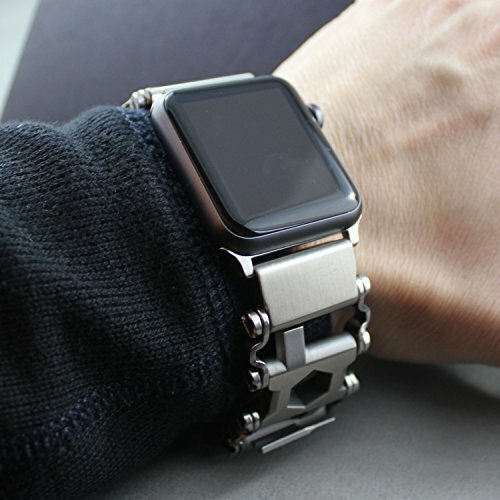 It won’t be as awesome as it would be with an Apple Watch but, it will still be pretty cool. So, if you want to have the most high-tech multi-tool out there, get yourself one of these adapters. Oh yeah, and a Tread Bracelet and the Apple watch, if you don’t already. Accommodates: Normal watches requiring a band from 16 to 24 mm. It also accommodates Apple Watches, Garmin watches, and G-Shocks. Included: A pair of Leatherman Tread watch adapters. 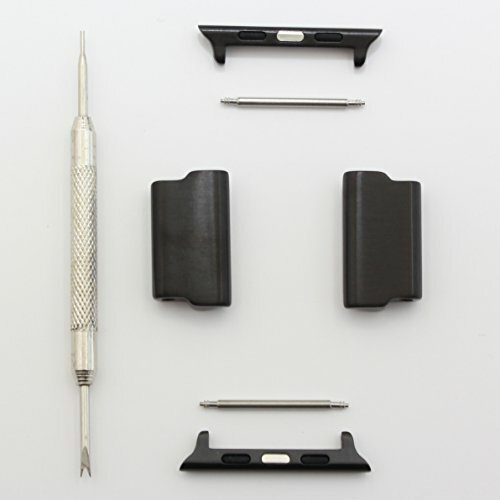 Two pairs of watch spring bars OR Apple watch adapters. A spring bar removal tool. Sorry, it’s just the adapter. 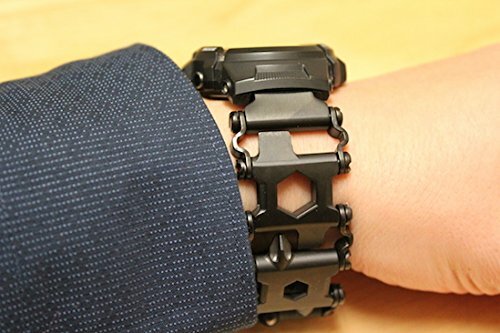 Leatherman Tread Bracelet and Apple Watch not included.